Spring has arrived in full force this past week. Trees are in blossom and pretty little flowers are popping up all over. The sunshine and bright blue sky is a real treat. Boom! An instant polka dot party! I know I just put the living room together when we moved in, but I was moving around my decor items and just felt the need to lighten things up to match the sunshine. The old wooden ladder and a big empty window frame added in a little farmhouse feel. 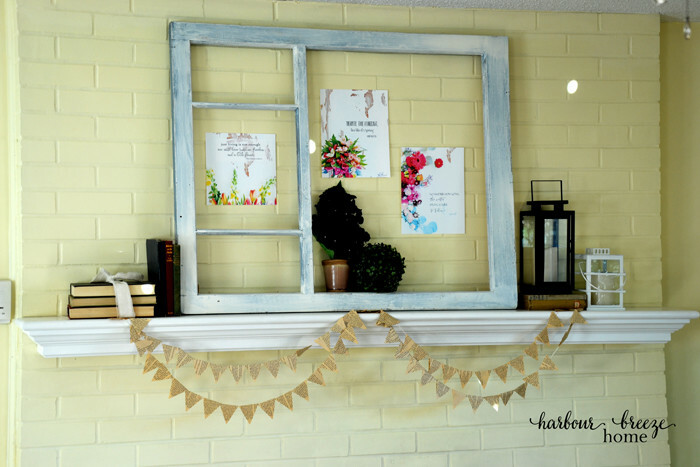 Some free printables from Kari Ann at Thistlewood Farms and fake greenery added a little Spring color. A friend gifted us an antique sewing table that tucks into the corner perfectly. I hide my little old tv and pvr box on the shelf below it, and can easily pull it out and put it on the island to watch tv as I cook ~ handy, yet hidden! 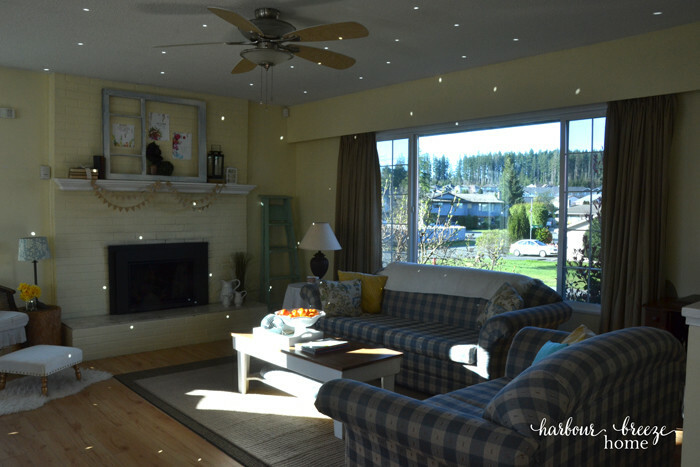 Do you make small changes in your decor to match the seasons? Or maybe you go all out and really change it up? If so, what are your favorite things to add into your Spring living room? I’d love to hear. PS. You guys rocked it in helping me with great suggestions for grout cleaning, and shower door cleaning ~ both in the blog comments and Facebook page. Thanks so much! 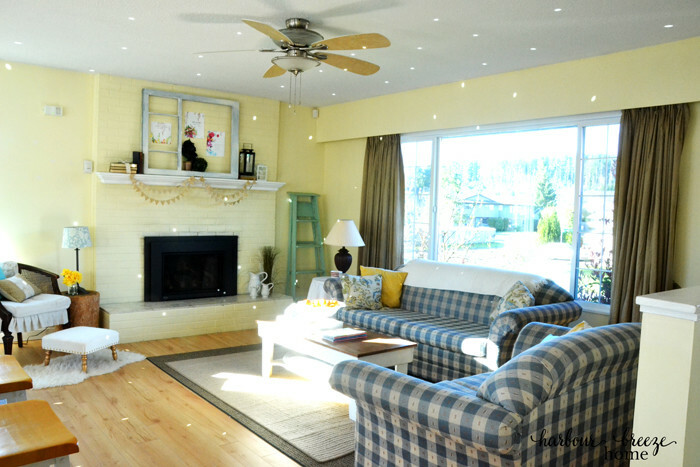 And, if you’d like to see last year’s beach cottage Spring living room, you can find it here.